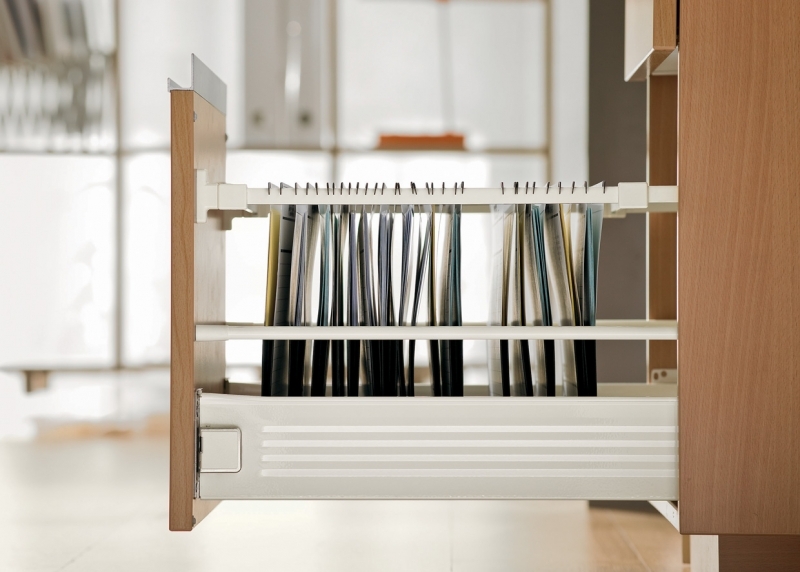 METABOX is our economical steel drawer system. 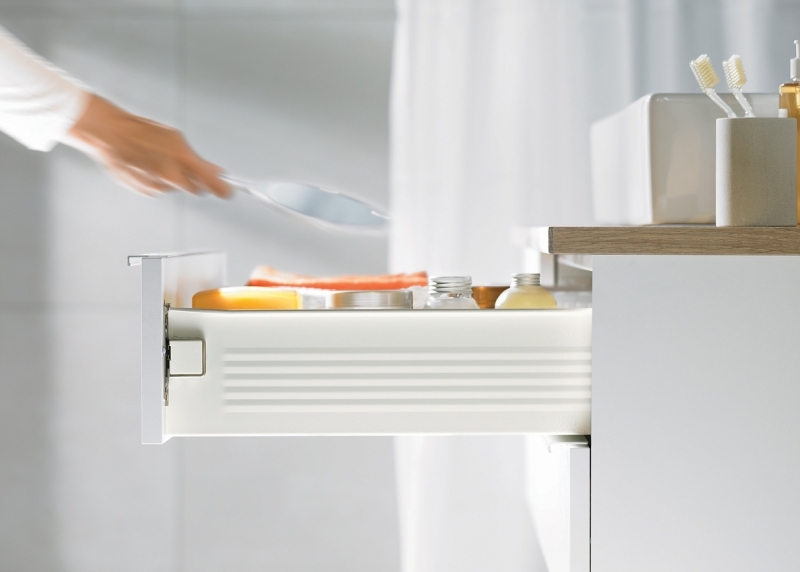 It is a great solution for kitchens, bathrooms, offices, and in healthcare and commercial applications. 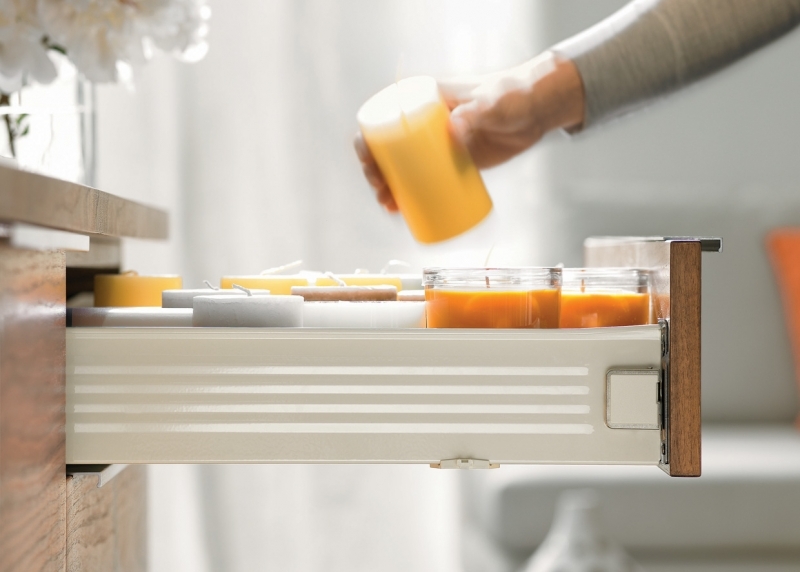 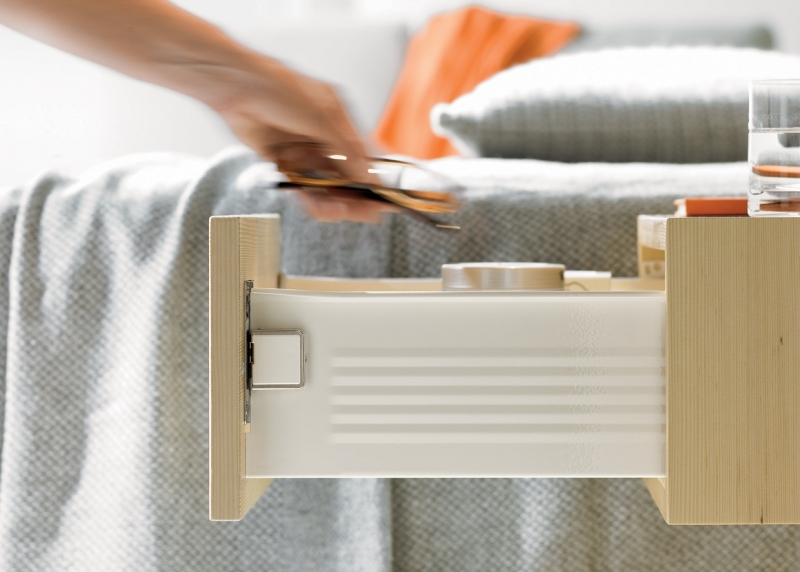 The METABOX system is very versatile, and you can even incorporate the same soft closing action as other Blum metal drawer systems.